Cappuccino, macchiato, and espresso are just some of the names for different kinds of coffee. All of them in the same language, Italian, and all of them originated from Italy. It is safe to say that Italian coffee is a serious business. In fact, it has its own tradition and has become part of the country’s identity and culture. Before attempting to make your traditional espresso, it’s a good idea to get to know the machine you are using. 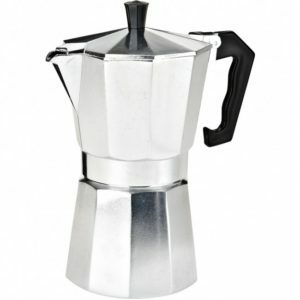 Designed by Alfonso Bialetti in 1933, the Moka pot is an easy-to-use stove-top percolator generally made of aluminum. 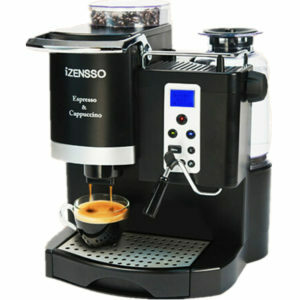 It brews coffee by letting the steam pressure push the boiling water through the ground coffee. The Italian coffee maker has three main parts. The bottom part of the pot or the boiler is where the water goes. The middle funnel holds the grounds. Lastly, the top part is where the espresso is collected after the boiling water goes through the coffee grounds. 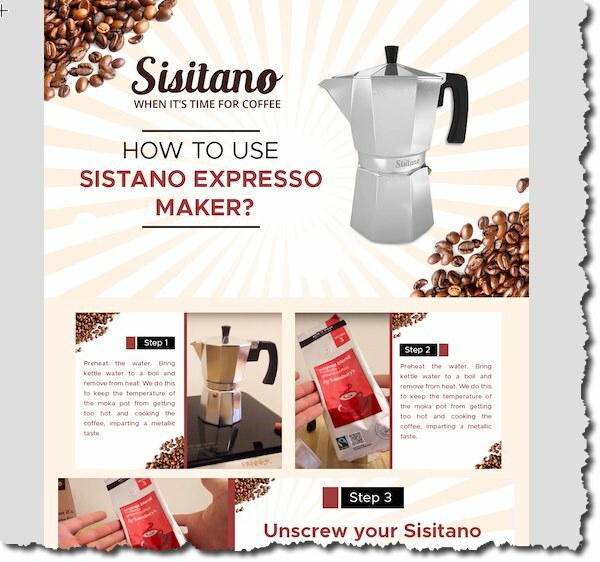 Follow the simple instructions for Moka pot. Fill the base with water. Be careful not to overfill your Moka pot with water. Fill only up to the level of the valve at the bottom chamber. The taste of brewed coffee depends a lot on the quality of the water used. If you are not a real connoisseur, you probably won’t notice the difference. However, if you are aiming for the best cup you can make, pay attention to the water quality. I would recommend using preheated bottled water. When preheating, be sure to turn the heat off before the water completely boils. Using hot water keeps the pot from overheating and burning the grounds. Prepare the coffee. When grinding coffee, make sure not to grind too finely. Ideally, it should be finer than that used for a French press but coarser than that for an espresso machine. Too fine grounds will result in bitter coffee while grounds that are too course will be bland and watery. If you’re using store-bought grounds, make sure to choose the ones made specifically for Moka pot brewing. Fill the funnel with coffee grounds using a small spoon. Then, lightly flatten it using your finger. Do not press the coffee down. Doing so will result in water not being able to pass through the grounds properly, making the brew bitter. Screw the parts together. Once filled with coffee grounds, place the funnel into the broiler. The bottom portion will be hot so use a cloth or an oven mitt when screwing the upper chamber on. Make sure they are twisted securely to avoid coffee from spilling on to your stove top. Brew Away. Lowering the heat to medium keeps the pot from overheating. It also prevents the coffee and the pot handle from burning. Moreover, it allows the water to gradually seep through the grounds, making the coffee more flavorful. Once the pot gives off a bubbling sound, check if the coffee is being extracted by lifting the lid. If done correctly, you should see coffee trickling out of the protruding metal inside the top chamber. The bubbling sound will change to a distinctive gurgle once the process is done. Remove the pot off the heat and immediately cool it by placing it on a damp cloth. Stir And Serve. As the extracted brew gets lighter over time, the coffee will be thick at the bottom and watery at the top. Stir it with a teaspoon to make sure that everyone can get an equally good espresso. Serve your coffee in small espresso cups. Warming the cups beforehand by filling it with hot water is also a bonus. Some say it affects the taste, but it sure will impress your guests if you serve coffee this way. There are a couple of things you can do if the extracted coffee is too strong and too little. Cool the relief valve located on the base of the Moka by running water over it. This will release some of the excess pressure that may be obstructing the flow inside the pot. After a few seconds, put the pot on the stove again. Unscrewing and rescrewing the top chamber from the base will also release some of the pressure. Remove the gasket and the filter from the bottom part of the upper chamber. At times, the filter might be blocked, so you have to clean both of them with water. You might also need to replace them if they are too old. Make sure that you didn’t put too much or press the grounds too hard. Also, take note to use the right grind size for your brew. Putting too much and pressing too hard as well as using overly fine coffee grounds will trap the water. As a result, you will get less and bitter coffee. If your coffee tastes burnt, you either left the pot brew too long or you are using dark-roasted grounds. Medium-roasted coffee is ideal when brewing using the Moka pot. After using your Moka pot, make sure to wash it thoroughly using water or natural products like vinegar. Never clean your pot with soap or other harsh chemicals. Using a new pot or new filter and seal might affect the taste of coffee. To prevent this, prime your Moka by doing a couple of dry runs. Do this by brewing using used grounds or without coffee. That’s it! 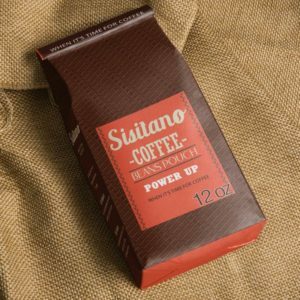 You can now brew your very own Italian espresso. No need to line up at your local café for a cup of good coffee. 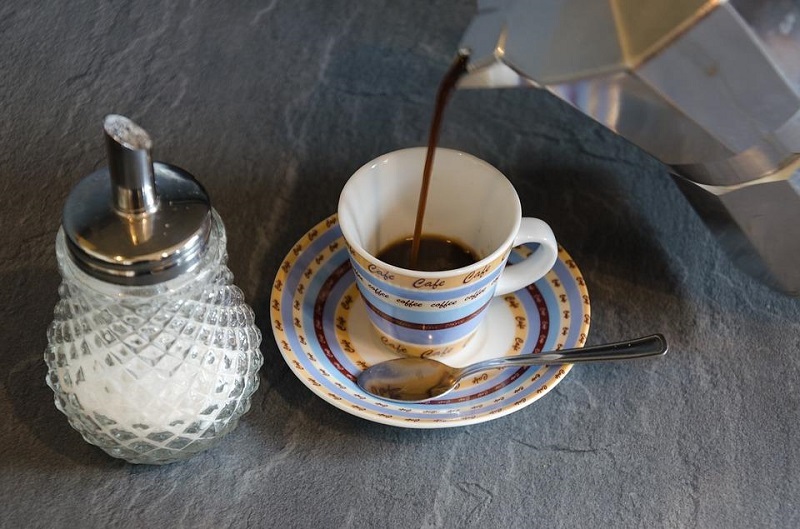 Once you get the hang of using the Moka pot, you may even try making variations of your espresso. We hope that you found instructions for Moka pot, helpful. Are you up for some cappuccino next? Are you a barista or simply love making your own coffee?